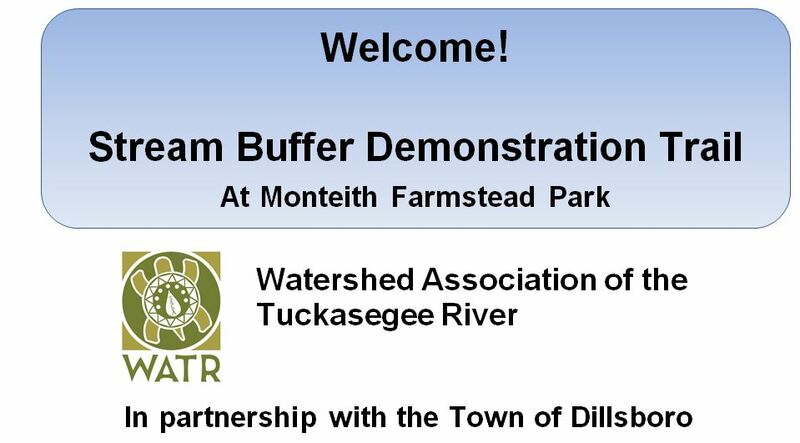 The Stream Buffer Demonstration Trail at Monteith Farmstead Park is open and ready for visitors. We hope you make the time to go to Dillsboro and walk this “mini” nature trail. The purpose of this trail is to explain — at the experiential level — why preserving natural land along the creeks here in the Great Smoky Mountains region is so critical. Yes, buffer areas along streams are critical to stream health — to the fish and to the bugs that the fish eat. So, in a very real way, it is critical for us — because this land and this water are part of us — whether we were born here or chose this special place to live. 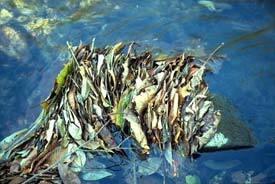 The lowly LEAF Pack in the water -- provides life in our creeks.